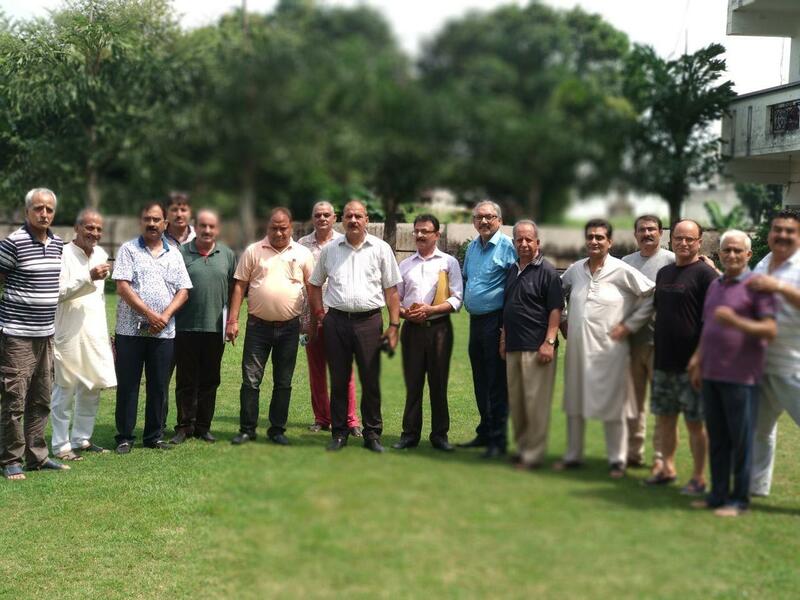 Jammu: Royal Welfare Association (RWA) on Monday raised various issues and problems faced by the residents of Royal apartments with Deputy Registrar Sharma. Sharma, who visited Royal Apartments at Hazuribagh to find out the problems and shortcomings, met residents and representatives of Mass Cooperative Housing Society. The RWA led by Sanjay Saraf raised the problems faced by residents on account of absence of drainage, car parking, fire fighting sysyem, water supply of PHE and upgradition of power transformer and transparent accounts of maintenance funds. While builder was represented by Daleep Raina, Deputy Registrar heard the complaints and problems of residents snd assured them to resolve them. Those who took part in the meeting included R L Tikoo, Kuldeep Parimoo, MA K Bhat, Ashok Razdan, B L Pandita, M K Khar, Satish Pandita, Dr Sanjay Raina, P K Mattoo, B K Kaul, Dilip Kampasi, atish Bindroo, Virender Shah, Vinod Trial, M K Raina, O N Kaul and others.